Find out who will be exhibiting at the First Time Buyer Home Show in Manchester on Saturday 15 September 2018. The list of exhibitors is constantly being added to so do pop back regularly to see who else will be there! Plumlife Homes is an award-winning, affordable home ownership company which operates across the North West and Yorkshire. With an unrivalled reputation across the housing industry, our mission is to to help people achieve their dream of buying their own home, through either outright sale or Government schemes such as Shared Ownership or Help to Buy. Help to Buy North West is the government's Help to Buy Agent for Cumbria, Lancashire, Greater Manchester, Merseyside and Cheshire. We process all Help to Buy Equity Loan and Shared Ownership applications across the North West region. We are a one-stop shop for anyone seeking an affordable home and provide information on where those homes are located through our website. Which? gives you impartial mortgage advice when buying your first home. Which? is here to take the hassle out of the research process to make sure all goes smoothly. You’ll have your own dedicated mortgage adviser and caseworker - they'll help you every step of the way, from when you start dreaming about your new home, to picking up the keys. Which? advisers don't work for commission, so when they recommend a mortgage there's no hidden agenda. They'll search all of the market deals and tell you if you'd be better going direct to a lender. Which? is owned by the consumer champion Which? Group, who have been giving independent advice and campaigning on behalf of consumers for more than 50 years. Redwing Living has its roots firmly in affordable home ownership. It is one of the largest providers of shared ownership homes in the North West, and also has homes for outright sale and private rent. Established for over 30 years, Redwing Living manages over 2,000 properties, from city centre apartments to houses in rural locations. If you’re looking to step onto the property ladder, Redwing Living has a beautiful place for you. 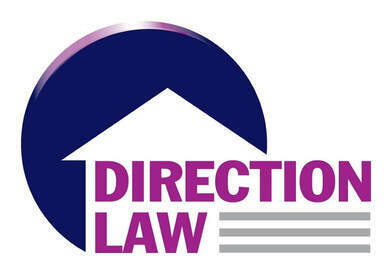 Direction Law has over 30 years’ experience of working with housing associations and private developers’ clients, helping them through every aspect of their home purchase journey. Due to our particular specialisms in new build and affordable housing transactions we are panel members for many housing associations, private developers and financial advisors who work in this sector. We have a team specialising in new build shared ownership and a separate department dedicated to resales, staircasing, etc. and our new build department works closely with private developers on all types of new build schemes including those sold at a discounted price and any that have an equity loan element such as Help to Buy. Whatever type of transaction we are instructed on, it will be handled by a specialist in that field, and by staff that are accustomed to helping first time buyers achieve their goal of home ownership. Snugg Homes has a long and successful reputation of building high quality homes. We have grown in size and status over the years thanks to the collaboration and commitment from each and every colleague. Feedback from customers confirms that a Snugg Home is a fantastic home to own. Whatever your choice of property, rest assured that quality comes as standard with Snugg Homes. Snugg Homes is part of Jigsaw Homes Group. Based in Greater Manchester, we specialise in offering first-time buyers affordable home-ownership solutions including Shared Ownership, Help to Buy and private sale. At Garden City Homes we deliver high quality housing across the North West specialising in routes for first time buyers to purchase their new home, including Shared Ownership and Help to Buy. Traditionally, we have focused on building new homes within the Wythenshawe area of Manchester, but we are expanding our product offer across the North West so more people can live in their new dream home. Buying your first home is an exciting adventure and it’s our mission to guide you along the whole way so it is as smooth and seamless as possible through our expert knowledge and experience. Equity Living is an estate agency with a difference, based in Cheadle Hulme, Stockport our professional team specialises in offering first-time buyers affordable homeownership solutions, including Shared Ownership and outright sale. Equity Living is part of Equity Housing Group. Equity is a leading provider of quality, innovative homes people need. Hello. We’re Laurus Homes. A proﬁt-for-purpose housing development company, part of Trafford Housing Trust. We use our profits to lend a helping hand through affordable housing and community projects. We believe everyone deserves a special place to call home. We design homes with a range of options for all including shared ownership and help to buy schemes to help getting on the ladder that little bit easier. At Gecko Homes we believe that home buyers deserve a better, simpler deal. We offer customers this by taking a helpful and personal approach, helping you find the home to suit your budget and needs, with flexible options; and continue to offer our services and support long after you move in. Gecko is proud to present a wide range of high-quality properties for sale in the North West, including homes for Shared Ownership, which offers first time buyers a unique opportunity to get onto the property ladder. With years of expertise in housing services, having provided thousands of customers with homes in desirable locations, Gecko is a name you can trust. We are Forty/8, a family run business founded in 1948. We create intelligent, sustainable, stylish homes in prime city centre locations across the UK. We aim to make the buying process as simple and straightforward as possible, including expert guidance for first time buyers and assistance through the Help to Buy process. Since its launch in 2014, heylo has created one of the largest home ownership programmes in the UK offering different routes to ensure owning your own home is accessible. At Together Housing, we are passionate about helping you own your own home. We develop quality, high-specification homes across the North of England, including apartments, 2, 3 and 4 bedroom homes and retirement bungalows. Our friendly, specialist team support buyers throughout the process, from the first enquiry to unlocking their own front door. Our affordable homes are specifically aimed at those unable to afford to purchase on the open market, and are offered for sale under a range of purchase options, including outright purchase and Shared Ownership. Together Housing is part of Together Housing Group, one of the biggest housing associations in the North of England with over 38,000 homes. We are a non profit making organisation and any money we make is invested back into benefiting our customers and local communities. We’re a mutual, which means we’re owned by and run for the benefit of our members. Because of the way we’re run, we’re free to reinvest more of our profits into improving products and services. We have 15 million members building society, nationwide. StepLadder helps reduce the average time taken to raise your property deposit by 45% compared to saving alone. We do this by enabling groups of qualified UK first time buyers to work together. StepLadder also provides members with access to exclusive specialist knowledge and group-buying discounts throughout the property buying process. Morris are one of the country’s largest and most respected independently owned house builders. Based in Cheshire, we’ve been helping people to buy new homes across the North West, Midlands and South of England for over 60 years. We know that a house doesn’t make a home. A home requires love, care and that little bit of magic that you can sometimes see, and always feel. That’s why we don’t just build houses for our customers, we give them places they’ll be proud to call home. Why? Because we’re as house proud as you are. St. Modwen Homes are committed to delivering high quality homes that really stand out from the competition. By adopting a local developer mentality, St. Modwen Homes offers its purchasers a quality and more bespoke product which differentiates it from the larger national house builders. Onward is a leading provider of quality, affordable homes across the North West. We believe everyone deserves a place to call their own, which is why we’re committed to building a range of new homes over the next five years, including homes for shared ownership, to help first-time buyers take that first step on the property ladder. Thinking about buying your first home? Then Post Office Mortgages are here to help. For years we have been helping First Time Buyers turn their dream into a reality by offering a wide range of mortgages. This now includes our new First Start and Post Office Family Link ™ products. If you would like to find out more about how we can help you or if you just need some guidance or information, then do come and visit us on our stand where we will be happy to help. Post Office Money Mortgages are provided by Bank of Ireland UK. The Leasehold Advisory Service (LEASE) is a public body sponsored by MHCLG and the Welsh Government (WG). Formed initially in 1994 to address the gap in leaseholders accessing free initial advice on leasehold enfranchisement and associated law, its remit has since broadened to include wider leasehold issues; and park homes since 2014. Lawcomm Solicitors offer an award winning conveyancing service to first time buyers seeking to buy their first property and work as recommended solicitors to several housing association and private developers on a nationwide basis. Contact our Shared Ownership and New Build Team for a no obligation discussion and estimate of costs. Inspired Homes is a leading developer of micro-apartments with over 1,000 homes completed or under construction. We adopt a smart approach to layout to provide high-quality, award-winning homes that are in reach of first-time buyers as well as larger apartments that retain these design principles to offer spacious penthouse living. Middlewood Locks is the most vibrant new waterside neighbourhood in the city centre. Located near Spinningfields where the two great cities of Manchester and Salford meet, Middlewood Locks is fast becoming a thriving new community where people can live and work creating an ideal balance between location and lifestyle. New homes are available for sale through Help to Buy and are ready to move into now. PropertyBooking.co.uk is the UK's first national shared ownership portal, featuring a range of homes available from leading housing associations across the country. Earlier this year the Property Booking team launched the Homes for Londoners website, in collaboration with the Mayor of London and the GLA (london.gov.uk/homes), showcasing a comprehensive range of affordable home options in the capital. MovingSoon has grown a vast audience since 2013 and a strong client base. We continue to provide good quality leads, reduce the number of voids and provide an informative service to our users who are in need of homes. Our vision is to help people step-by-step. Firstly, by finding them somewhere safe and affordable to live and then helping them progress to owning their own home.